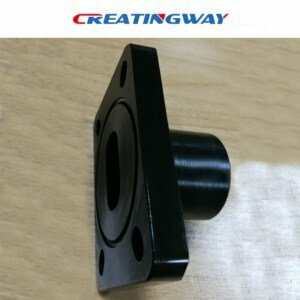 Creatingway is a professional aluminum machining parts manufacturer in Shenzhen China from design, development to production. Aluminum material is one very common metal material, which apply for most of industry like machine component, shell, LED vent, heat sink, and extrusion parts etc, so we need to know why the aluminum material was used for various of industry and application, what’s the aluminum parts of benefit. we will share more these below with you together. The aluminum material is light rather than others metals. It is very easy to machining whatever you will cnc machining or lathe, or extrusion process or casting etc. It is easy to have secondary process like polishing, shape, or coating and painting etc. The aluminum material is very soft itself than others materials, so easy machining process. It has good performance for vent, heat sink etc, so it is more apply for vent parts for PC etc. Since it is easy machining, so we further consider it to rapid prototype machining materials, or rapid tooling materials. Usually, there is more different manufacturing process for aluminum materials. Aluminum material is soft and easy machining, save machining time than the others metal like stainless steel. Aluminum parts is easy to have finishing like anodizing, sand-blasting etc, it has more choose to customers for product aesthetic. Aluminum parts is light to save shipping cost. Since it is easy machining, so we have used it to rapid tooling. 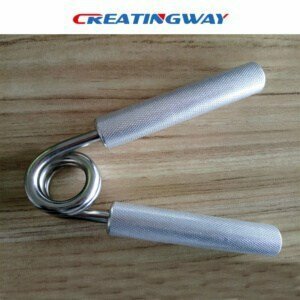 Creatingway Team always provide you more advantage for your projects. Our engineer team have expert skill and training in metal and plastic industry to ensure your projects. Quality assurance is top of our working flow, and throughout whole development and production process. Will review and quote you in 1-2 days, meanwhile, provideyou more feedback and suggestion for projects. Sample submission is less 2-3 days, and production delivery is less 7 days. Flexible working time to meet your urgent shipment. Reference customer can provided to prove our services from engineer, sales, quality and production time.